Maybe it's not your REALITY, but it's MINE! 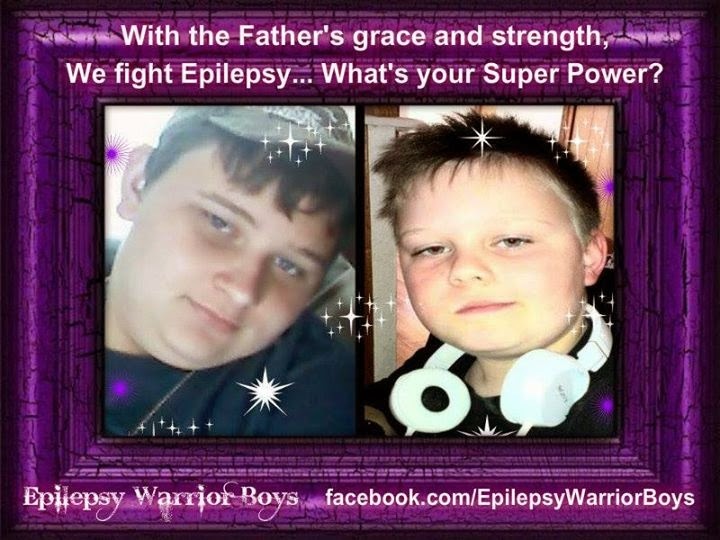 : Epilepsy Awareness Day, March 26th! 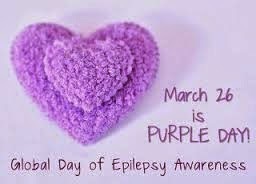 Epilepsy Awareness Day is March 26th!! 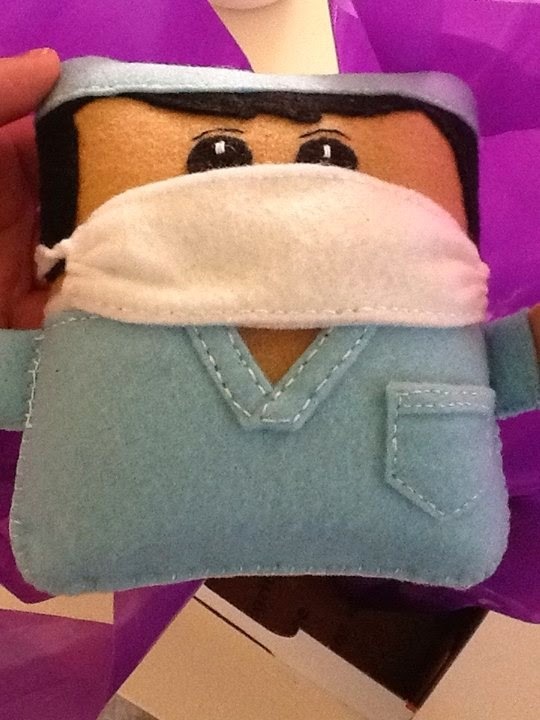 We went to our Children's Appointment to meet with the Neurosurgeon who will do Brett's VNS implant surgery this week. 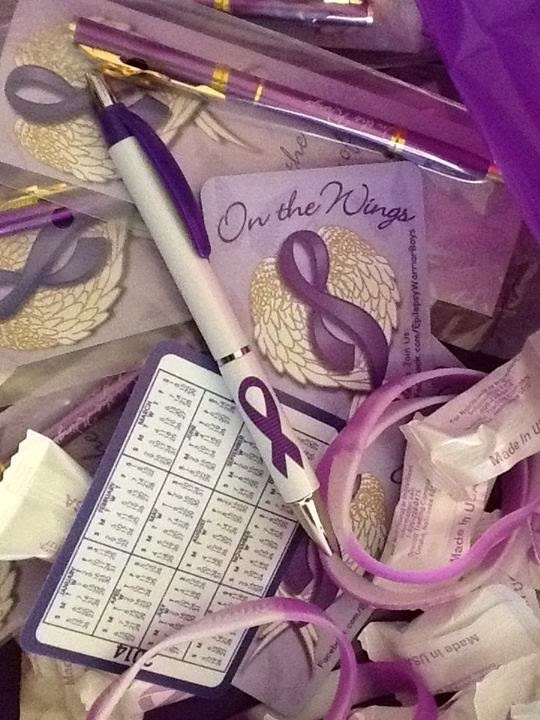 We brought Purple Bags with Purple Goodies (Lavender Awareness Ribbon Butter-mints, Wings of Hope Purple Ribbon Pens, White Purple Ribbon Grip Pens, Wings of Hope Purple Ribbon Calendar Cards) to the Office Staff, our Neuro, the first Neuro Brett saw there, the Epileptologist who does the Video EEG testing and our most favorite Nurse ever who is so great and works hard for Brynn and Brett. 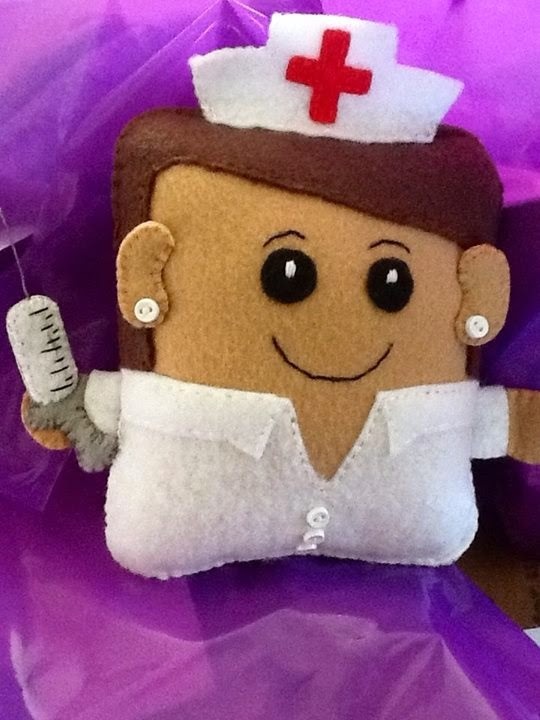 I had a really cute Dr. and Nurse character made for our Neuro & Epilepsy Nurse. They are wonderful and are always there for us, always respond when we are in crisis, have a question or a need. 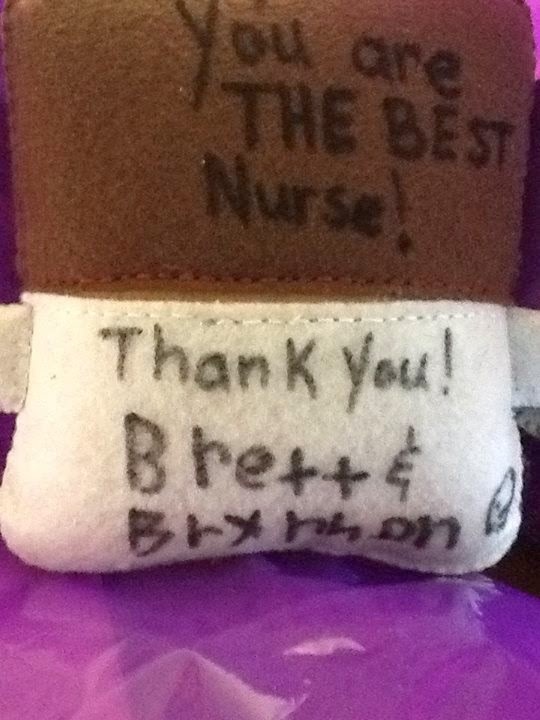 They both go above and beyond what we could ever have imagined in care for our Epilepsy Warrior Boys, Brynn and Brett. The boys signed them and I wrote a card of thanks. 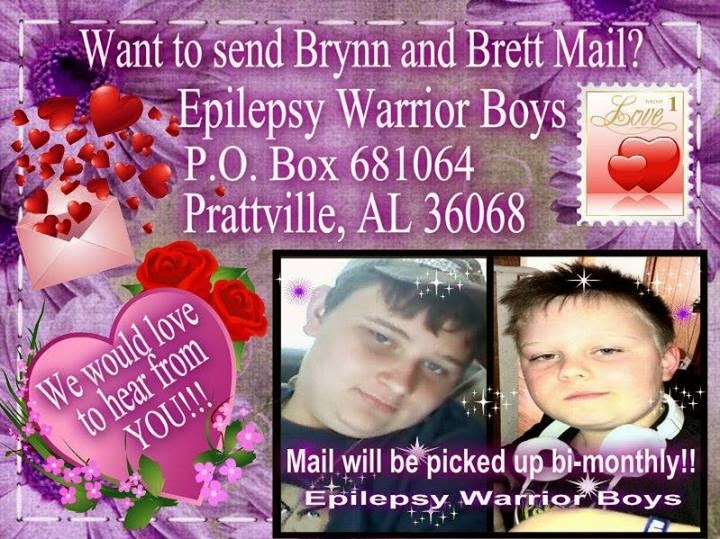 We will be going out asking businesses to let us put up Brynn and Brett's photos and giving out pens next week. 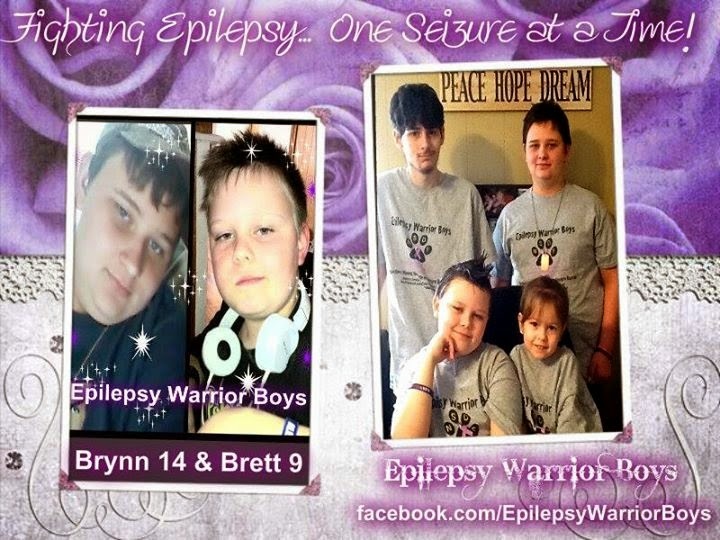 I thought I would write about Epilepsy, as if I do not write enough about it! Did you know that 1 in 26 people will develop Epilepsy in their lifetime? 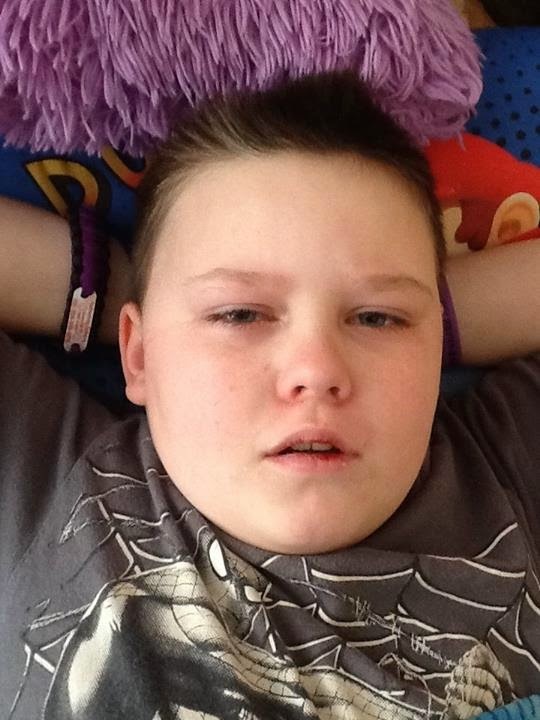 Did you know that there are many different types of seizures. Symptoms can vary from disruption of the senses lasting seconds, to short periods of unconsciousness to the full convulsions most people associate with Epilepsy. Did you know that Epilepsy affects more people than multiple sclerosis, cerebral palsy, muscular dystrophy and Parkinson's combined? Historically, epilepsy research has been under-funded. Each year NIH spends $30 billion of medical research, but only ½ of 1% is spent on epilepsy. Did you know Sudden Unexpected Death in Epilepsy (SUDEP) accounts for 34% of all sudden deaths in children? Did you know Only in about 30% of cases is the cause of epilepsy determined. The other 70% remain unanswered, in what is referred to as idiopathic epilepsy?Did you know about 150,000 new cases of epilepsy will be diagnosed in the United States each year? Did you know early in the 19th century, people with severe epilepsy were cared for in asylums? Did you know estimates are that up to 50,000 deaths occur annually in the U.S. from status epilepticus, Sudden Unexpected Death in Epilepsy (SUDEP), and other seizure-related causes? Did you know an estimated 3 million Americans and 65 million people worldwide currently live with epilepsy? Did you know the Greek philosopher Hippocrates was the first person to think that epilepsy starts in the brain (460-377 BC)?Did you know With the right AEDs, up to 70% of people with epilepsy could have their seizures controlled, leaving 30% uncontrollable/medically refractory? Did you know in America, Epilepsy is as common as Breast Cancer, and takes as many lives? Did you know Epilepsy can develop at any age and can be a result of genetics, stroke, head injury, and many other factors? Did you know the mortality rate among people with Epilepsy is two to three times higher than the general population? Risk of sudden death among those with Epilepsy is twenty-four times greater. Did you know about 30% of those diagnosed with Epilepsy are children? 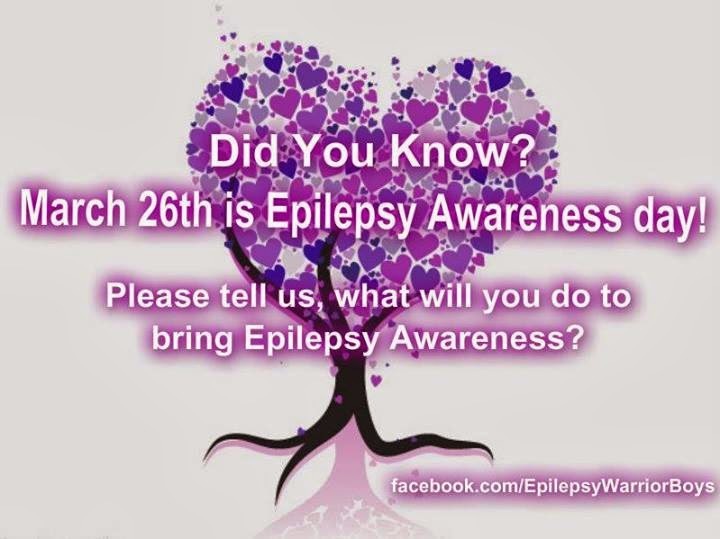 Now that you know... We hope you will wear Purple or Lavender this March 26th and tell people about Epilepsy. 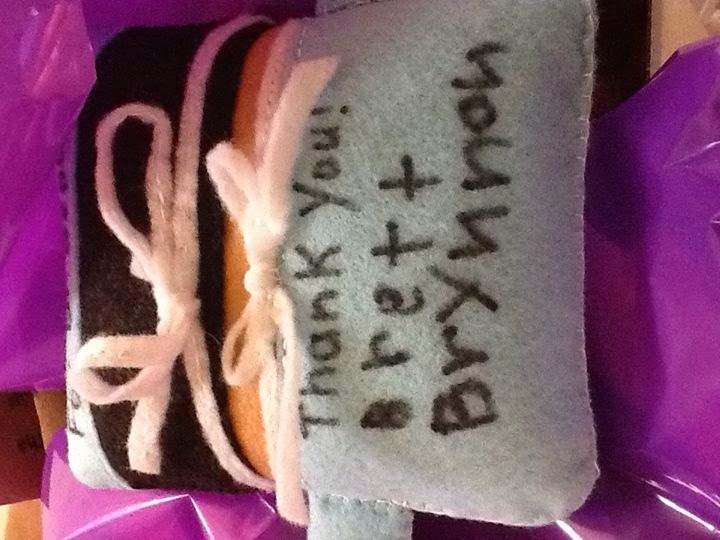 Not just for Brynn and Brett, but for the 65 million people worldwide living with Epilepsy.